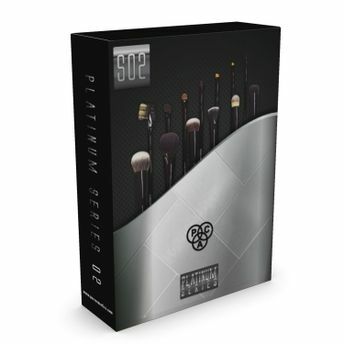 PAC Platinum Series S02 set comprises of 21 professional brushes which is ideal for face/eyes application/blending purposes. Crafted with premium quality material, these brushes are a combination of different shape and sizes. Define your creativity with PAC Platinum series S02 kit. These brushes come in a handy brush pouch to keep your brushes organised. This kit will surely be your holy grail. Includes 21 face/eye makeup essentail brushes.